A large box has just arrived. It is the new nine shades of Manos Silk Blend, new pattern books and some Manos Fino. I am still waiting for the Kauni box – it left Estonia on the 23rd. The tracking says it is out for delivery today but it is 4.0pm and not a sign of it. John and Slip have gone fishing – it is very windy and so I think he will not have had much success. 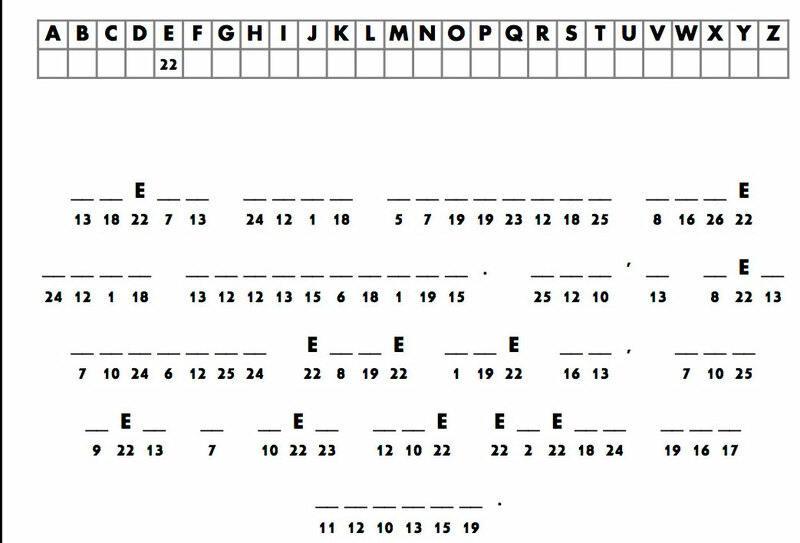 Please solve this cryptogram – I hope you can read it! It is computer related! I am going to make a rice pudding now – a thing I never eat but John loves them with blackcurrant jam! I do have a bit of news today! I received a newsletter from Rowan and it had a section devoted to what’s new for Spring/Summer 2013. It shows All Seasons Chunky in 100g balls with 14 shades and a new yarn called Softknit Cotton. This is 92% cotton and 8% polyamide and there are 14 shades. There is a pattern book devoted to each yarn. There are also three other new books – Summer Textures ( it does not say which yarns this one supports), Simple Shapes Cotton Glace and Simple Shapes Handknit Cotton. Glorious inspired by blossoms and the abundance of summer flowers. Playful, fun and supremely feminine with an eclectic mix of colour and pattern creating delight and optimism. Ikon combines pixelated pattern, geometrics and sharp modern graphics inspired by technology of pixelated digital patterning contrast against the bold graphics of the modernist age. Essentials the key shapes of the season in a simpler and more accessible way. There are also several new Regia sock yarns. I don’t yet know what has been discontinued or what new colours there are in existing yarns. I will have to wait for the rep to visit to find out more! Nothing much else of importance to report. I forgot to say contest entries must be in by midnight Tuesday. This is what Jackson thinks of the cold weather! 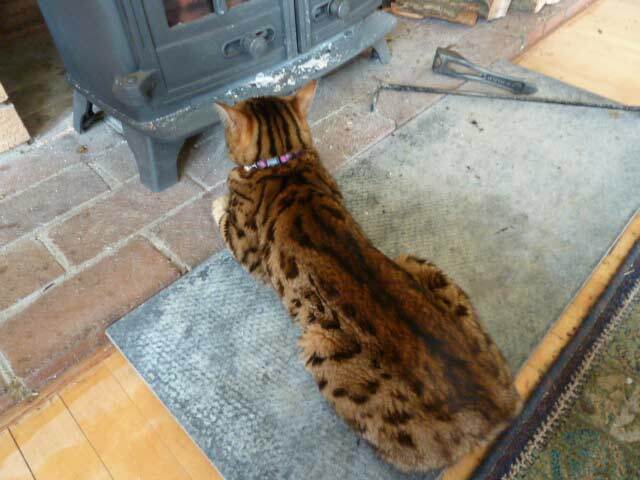 He sits in front of the fire and refuses to move when we want to put another log on. I have people coming for lunch and so cannot write much as I have made some profiteroles and have got to dip them in melted chocolate and fill them with cream and only have 15 minutes to do it and lay the table etc. 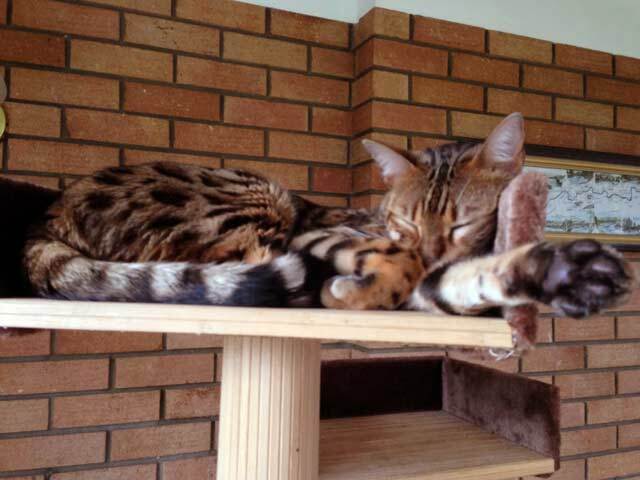 Here is Jackson sleeping on the top level of his cat tree! He likes it up there as the warmth from the fire rises! Can you do these 4 apposite anagrames – both parts of the anagram need to be related or somehow reflect each other. For example, Big melons is not an apposite anagram of Mel Gibson as there is no relation between the two! But old masters/art’s models is one as the anagram relates to the first words. I have put how many words you need to make in brackets. John is out shooting and I am making a Dundee cake – it is in the oven now. We had a sprinkling of snow this morning – it is very cold and also very windy. I am going to attend to my cake now….back tomorrow. The Kidsilk Haze Glamour in Cream arrived today. I think I like the Cream best of all the colours. Jackson seems a bit better. John took Slip out last thing last night and Jackson was on the lawn dragging a rabbit that was almost as big as him. He had not hurt it and John was able to rescue it. I am cooking monk fish in parma ham for John tonight and I have made an orange sauce that I am rather dubious about….we shall see! I am having a crab! Jackson seems a little brighter today. He is eating his biscuits albeit terribly slowly. He does not seem to want to go out and so I let him sleep. I have not heard him cough today – just 2 sneezes. Use the letters given to complete the square so that three other words can be read downwards and across. Answers to jannette@easynet.co.uk with 3 Words as the subject by midnight Friday please. The Kauni EQ has left Estonia and is in the air on its way to me! I just hope all the balls are the same size as it makes a lot of work having to put each one in the shop individually. Two more mice last night – we could hear them scurry about when we were in bed. We are going to buy more traps tomorrow! Now I am going to make a sweet and sour sauce from scratch to go with the chicken pieces I am roasting. Back tomorrow and Jackson says a big thank you to all of you who have wished him well! We are back! Jackson had a thorough examination including having his temperature taken! He was very badly behaved and growled and hissed the whole time! He was also weighed and is 4.3 kg. The verdict is that he has aspirational pneumonia which means he has regurgitated something and it has “gone down the wrong way” and caused an infection in his lungs. We are going to try antibiotics before subjecting him to the Cambridge hospital – if it can be cured at home, so much the better. He had a long lasting injection and I am to see how he is in 3 days time. So I feel happier now!